College is a magical time. Nothing to worry about but getting up in time for class and trying to remember what happened the night before. Especially if you’re in the Greek system. Well, The Athens is here to make your life just a little bit easier! 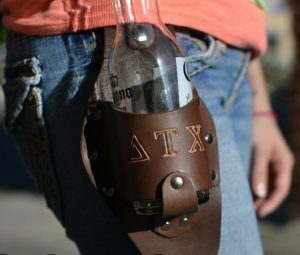 Choose The Athens when you want to show your allegiance to your Fraternity brothers or Sorority sisters by embossing your Greek letters into the basket of your new beer holster. 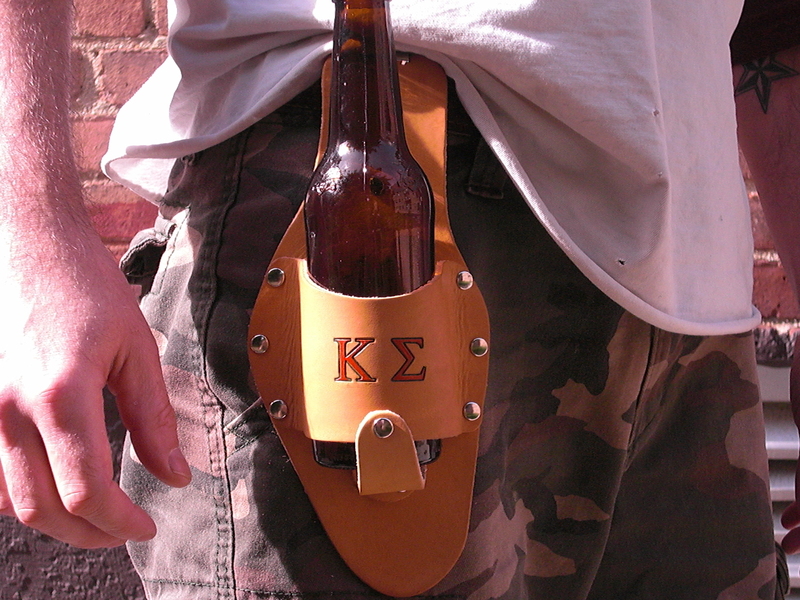 We can even include your name, school name, or pledge class in smaller 1/4″ letters. With this holstar you can make your life easier at the next party by keeping a backup in your holstar that you can offer to that hottie across the room. Or just put your beer in your holstar to free your hands up and dominate beer pong. Let us know if you want a bulk order for your house and I’m sure we can work something out! 3 – Write the name of your fraternity or sorority and we’ll stamp the Greek letters into the basket. 4 – Select the color you want your letters painted: Available colors include: None, Black, Dark Brown, Brown, Royal Blue, Light Blue, Turquoise, Green, Red, Orange, White, Silver, and Gold. 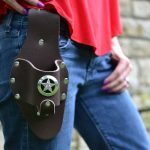 5 – Add a Concho – Add a Concho to your order to give it some flair… pizazz… bling… you get the idea! 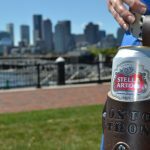 6 – Include Bottle Opener and Reel – Don’t forget to include the custom Holstar logo bottle opener and retractable reel with your order! 7 – Buy your customized Athens holstar! – The “Add to Cart” button shows up when you select all your options. Be the first to review “The Athens” Click here to cancel reply.